This book unlocks the secrets of writing superb assembly-language code. It assumes that you're already familiar with assembly language, acquainted with the registers and instructions of the 8088, and with the use of one of the popular PC assemblers. This book introduces students to assembly language programming in MIPS. It covers basic operators and instructions, subprogram calling, loading and storing memory, program control and the conversion of the assembly language program into machine code. The purpose of this text is to provide a simple and free reference for university level programming and architecture units that include a brief section covering MIPS assembly language. The text uses the QtSpim simulator. This book is about the disassembly of x86 machine code into human-readable assembly, and the decompilation of x86 assembly code into human-readable C or C++ source code. Some topics covered will be common to all computer architectures. 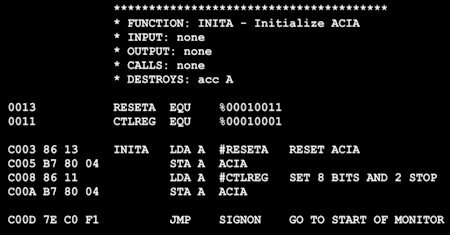 Introduction to 6502 machine language. The book starts with an introduction to how computers work, what Binary and Hex are, and how they relate to programing. Everything is covered with enough detail for a beginner to understand what they are doing. This book covers assembly language programming for the x86 family of microprocessors. The objective is to teach how to program in x86 assembly, as well as the basic architecture of x86 processor family. The book for readers at the intermediate level. Presents assembly language from the high-level point of view, so you can start writing meaningful programs within days. This is the most-often recommended book on 80x86 assembly language programming in newsgroups, on web sites, and by word of mouth. Comprehensive book on the design of assemblers and loaders. It covers one and two-pass assemblers, absolute and relocatable object files, multiple location counters, local labels, macros, conditional assembly, listing file, disassemblers, and loaders.